We are often warned that supplements can be dangerous when mixed with medication. 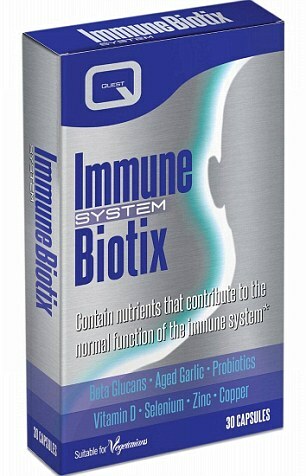 But now research is starting to show that the right combinations can be helpful in fighting illness. Co-enzyme Q10, or CoQ10, for example, is now often recommended by doctors to patients on statins. Statins help to lower cholesterol and protect against heart attacks, but they can also cause muscle pain. CoQ10 seems to reduce this side effect, says GP Mike Dixon, chairman of the College of Medicine. ‘I don’t suggest Q10 straight away, but if the patient is getting side effects I do suggest it before changing the statin,’ he says. Q10 has also been found to help some breast cancer patients taking Herceptin. 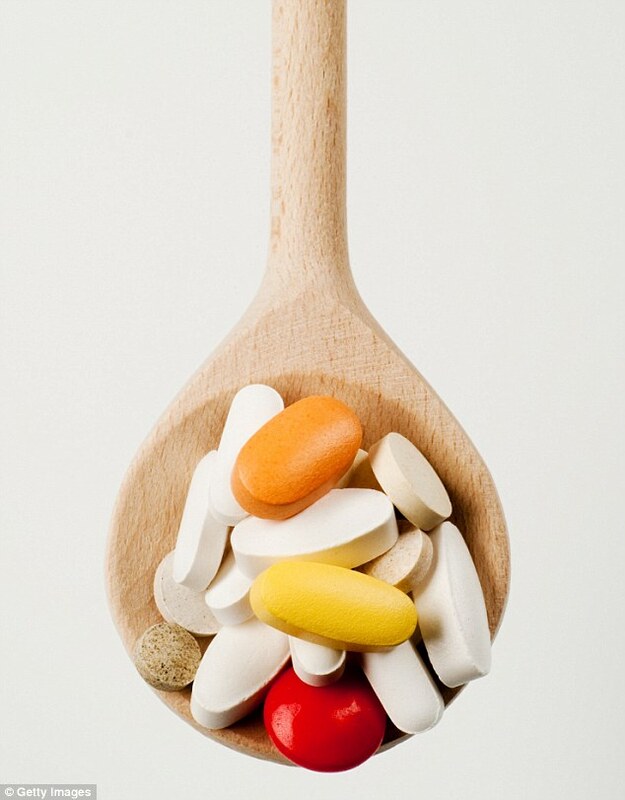 Here experts reveal the other supplements that may complement common medications. But remember, if you’re considering starting any supplement, always talk to your doctor first. Why: ‘I sometimes prescribe a Vitamin B compound with antidepressants as it can act as a pick-me-up,’ says Dr Mike Dixon. A study published in 2010 in the journal Psychiatry reported on two cases of patients with depression who had not responded to conventional antidepressants; both were found to have low levels of Vitamin B12 and improved when started on supplements. Meanwhile, 50-100mg of Vitamin B6 has an ‘amplifying’ effect on dementia drugs, says George Lewith, professor of health research at the University of Southampton. 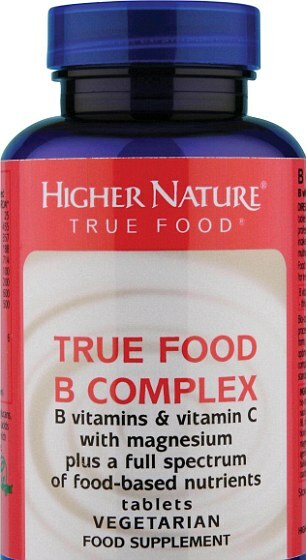 Try this: Higher Nature True Food B Complex, £19.90 for 90 capsules, highernature.co.uk. Why: A risk factor for type 2 diabetes is fatty liver disease, where excess calories lead to the laying down of fat around the organ. Function is affected and the liver starts producing too much insulin, which can lead to diabetes. 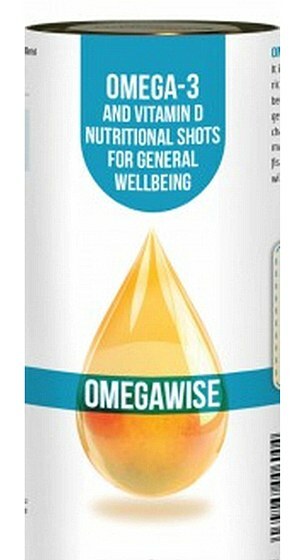 Research at Southampton University has shown taking about 2g fish oils a day can reduce such fat by 30 per cent. Therefore, patients taking metformin for type 2 diabetes might well consider adding this to their daily intake, says Prof Lewith. Some studies have also found that metformin interferes with the body’s absorption of Vitamin B12, putting patients at risk of deficiency. However, other research has disputed this so ask your own physician first. Why: Some studies suggest that women taking the contraceptive pill have lower levels of Vitamin C because the hormones it contains may reduce our absorption. Vitamin C is important for immunity and healing. 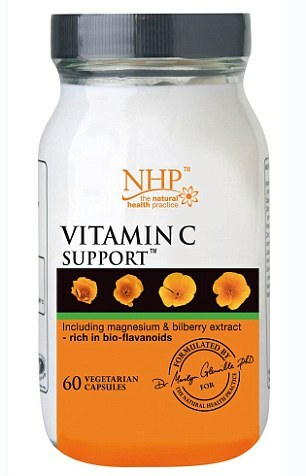 ‘It’s not something everyone on the Pill should be doing, but I do suggest Vitamin C supplements to some patients, particularly if they are having breakthrough bleeding,’ says Dr Dixon. Why: People who are on antibiotics may benefit from taking probiotics at the same time, a review of evidence by the respected Cochrane Collaboration found last year. The team said the supplements could prevent the common side effect of diarrhoea by replenishing levels of ‘good’ bacteria in the gut. They also found people taking probiotics had less diarrhoea, nausea and stomach cramps than those taking a placebo. Why: Vitamin D and calcium are important for healthy bones, and these supplements are prescribed when someone is diagnosed with osteoporosis, or brittle bones. A review of 137 studies, published in 2011 in the Annals of Internal Medicine, found combined supplementation with Vitamin D and calcium reduces a person’s risk of fracture. Why: ‘A few years ago glucosamine was very popular for arthritis,’ says rheumatologist Dr Imam Haq. ‘However, the evidence now is that there’s very little benefit. Meanwhile, fish oils have been shown to be anti-inflammatory and there is evidence they reduce pain and stiffness.